I am Bhavana Nissima, the Lightweaver. I weave idea-streams, thought-concepts, people, places and objects into new possibilities for future. Also I coach folks to enable, rehabilitate and rejuvenate their creative flow – whether writing, music, dance or technology. Who is a Consultant? Who is a NLP Practitioner? A consultant is one who offers expert information and support for an endeavour. An NLP practitioner is someone who has been certified to practise and apply neurolinguistic programming techniques at a basic level. Equivalent to receiving a Bachelor’s degree in a subject. How it all got started for you? 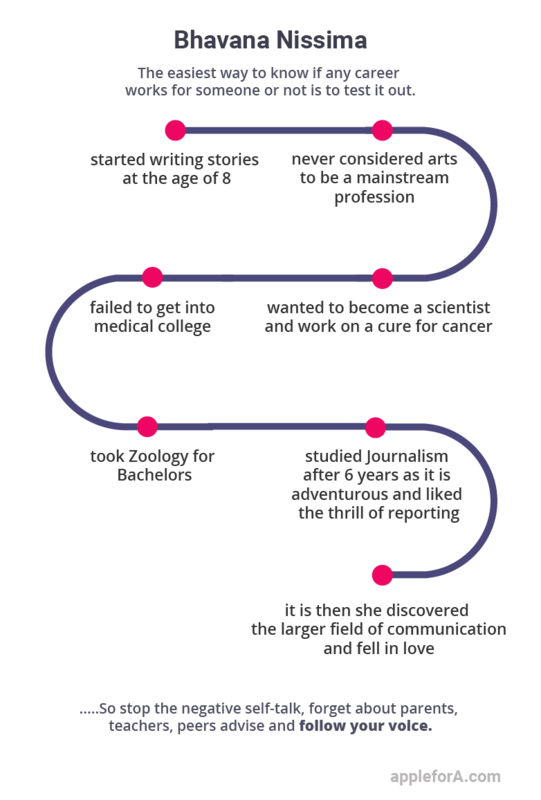 Why Zoology and Journalism? I was into creative projects from a young age. I started writing stories at the age of 8. However, I never considered arts to be a mainstream profession. I wanted to be a scientist and work on a cure for cancer. My mother was insistent I learn music and dance as she believed it would provide me supplemental income in times of crisis. So arts was a lifebuoy, the backpack for emergency. I did not get through my medical entrance exams after higher secondary. My parents insisted that I would get through if I wrote again and wanted me to stay in science stream. So, I took up Zoology for my Bachelors. I attempted the entrance exams across the country three times after that and failed each time. I was not interested in working on a Masters in Zoology, instead wanted to study Journalism. However, my dad decided to end my studies and instead asked me to look for a job. I studied Journalism after another 6 years in my late twenties. I thought Journalism was adventurous and I liked the thrill of reporting. However after I took up Journalism, I discovered the larger field of Communication and fell in love with the possibilities in this field. I was the Earthwoman for a long time, working on social projects, with organic farming and healthy food and women-oriented writings and work. However, I felt that it was not my calling. “I step into the playground and integrate the child into me. The sun reveals willing. I pull his many light-threads and twining it around my fingers, step out of the confines of designated playground. I don’t have a typical day. It varies week to week. Usually weekends are full with workshops and weekdays I have 1:1 client sessions and responding to articles. I read a lot and I write a lot. Also I update myself by learning a new area. I am a one-woman show. From promotion to managing finances to setting up workshops to client sessions and follow up, I perform all roles in my organisation. What have been the most surprising elements of your career? I don’t understand this term career, and I have learnt to not compartmentalise my day in that way. I am doing what I enjoy doing. When I started as a young girl (13 years old) as a Bharatnatyam dance teacher, I did for independence and to earn money. I was told I must have a career and for me in those days it was mainstream – doctor or corporate professional. The surprising thing is how easily I learnt new skills and excelled at many professions. I also realised I was someone very independent, highly creative with very high rate of productivity. 9-6 job routine was the one I hated the most. I am glad I found ways to challenge myself and to keep myself both creatively busy as well as financially adequate. Believe in yourself. Celebrate who you are. I love that it is as much fun as writing. It is highly demanding – I have to work hard on myself to clear the noise within, refine my senses and skills to tune into others and improve the range of my knowledge to work with other models of the world. It is a thrilling process. What are the challenges you have faced in your career? Financially I wasn’t rich. Cash-flow is and was always uncertain and it used to cause stress. I also felt inadequate because I didn’t have steady income. Plus there was a social pressure on holding a ‘stable’ career and being prosperous. None of this gelled with me but I felt inadequate in response. It took me years to figure out the money equation and becoming comfortable as I was. You are someone who have worked in various industries and profiles. What advice you have for someone who wants to do the same? Enjoy learning new things, meet new folks, encounter new challenges. Your brain is getting its exercise and you are actualising in the process. If you are looking for self-development, walk out of your comfort zone and embrace uncertainty. Can you please summarise your career journey? 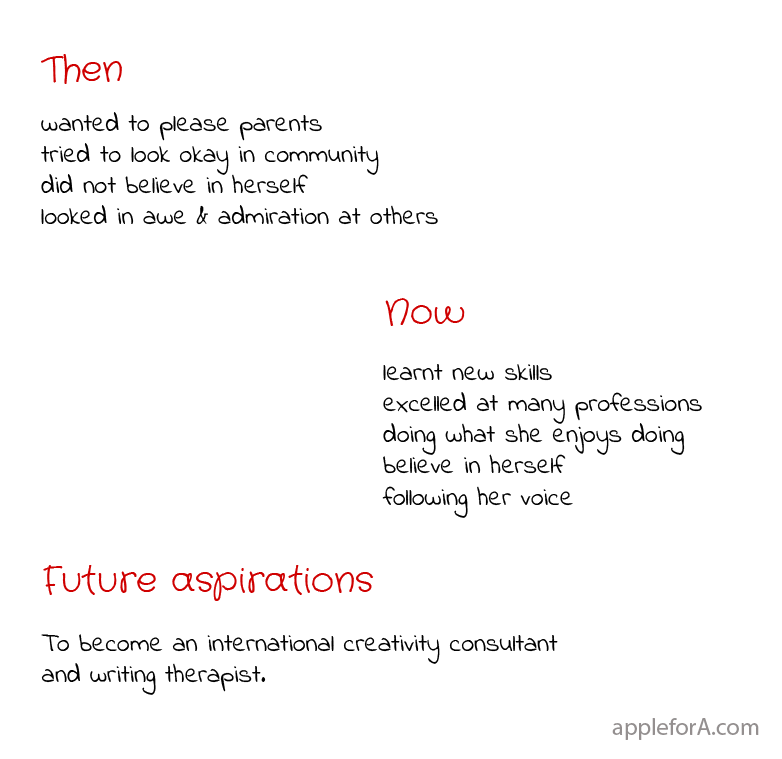 To become an international creativity consultant and writing therapist. What sort of experiences helped prepare you most? I learnt something in each place. I had good experiences and bad experiences. Bad experiences pushed me to learn what I would not have learnt, good experiences helped me believe in myself. 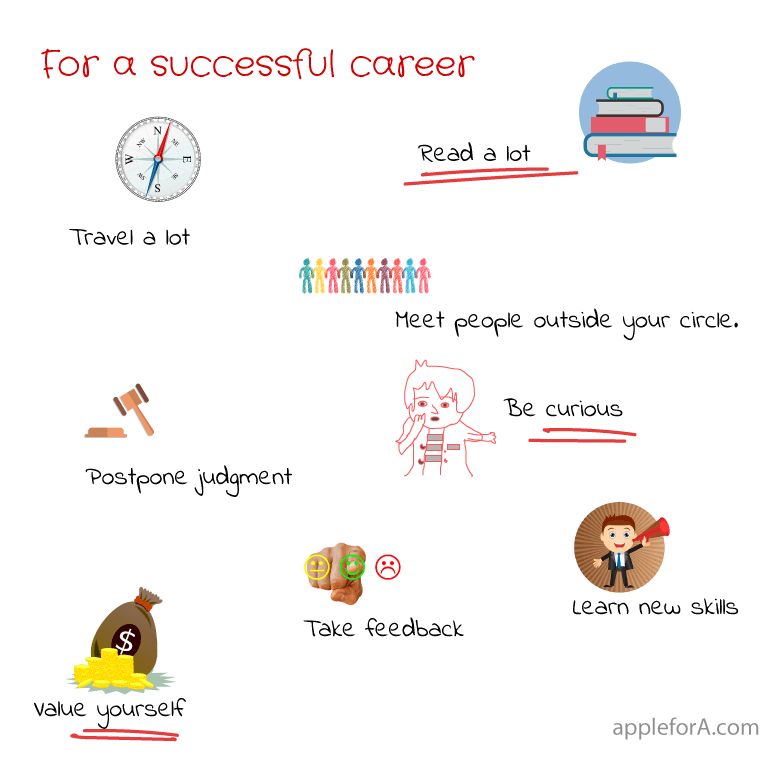 What are the most critical factors for being successful in this career? Be open, be flexible, be resilient. I am 17 and I am planning for a similar career path like yours. What advice you have for me? You can’t plan to have a career path similar to mine. It will emerge organically. You take the first step forward and do what you enjoy most right now. The next step will appear when you are ready. Read a lot. Travel a lot. Meet people outside your circle. Take feedback when you ask for it. Learn new skills. Value yourself. What kind of person will be a good fit for a career in Training and Coaching? There is no good or bad fit. If you want to be a trainer, upskill and work towards it. We think of career as we would think of marriage – as a lifelong relationship. Wrong. Think of career as a relationship to being joyful. Using the barometer of how happy you are and how energetic, work on whatever you want right now. You can do whatever you want if you get rid of limiting self-beliefs. So stop the negative self-talk, forget about parents, teachers, peers advise and follow your voice. Do what you want to do. If it doesn’t work out, change tracks and do something else. What are some resources you use to keep yourself updated about the industry? My work requires studying across board. I practice NLP, I keep learning new approaches in it and connect with multiple trainers. I read extensively on what other writing coaches and creativity consultants do and suggest. As well as I read on Neuroscience and writings from various genres. I connect with artists of different hues so I can understand their work and their challenges better. Avoid pleasing your parents and peers. What is your purpose and how different are you from an 18 year old you? 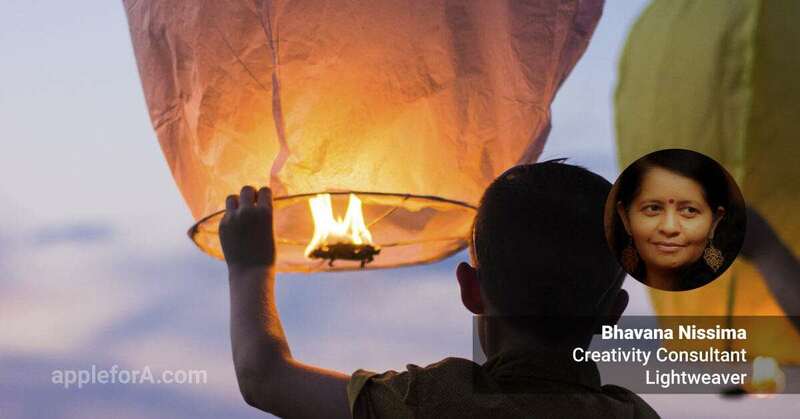 My purpose is to help folks unleash and wield their creative powers. I drive me. 18 year-old me wanted to please my parents and look okay in my neighbourhood and community. The 18-year-old-me did not believe in herself and looked in awe and admiration at others. However she and I are same in the sense we both are very curious and open and flexible.